You don’t often hear people talk about the Treaty of Brest-Litovsk, at least not here in America. But even though the United States was not a direct party to this pact, the Treaty of Brest-Litovsk has had some major effects on the world we know today. World War I was a pointless conflict that wasted money and human lives for four long years. By 1917, Russia was at its breaking point. Soon Tsar Nicholas II had no choice but to abdicate. But even without the tsar, the Russian Provisional Government continued to support the war effort. In stepped the Bolsheviks later that year. Led by the charismatic Vladimir Lenin, they promised to end the war and rebuild the nation. The day after taking Petrograd, Lenin started negotiations with the Central Powers of Germany, Austria-Hungary and the Ottoman Empire. They met that winter in the Belarusian city of Brest to discuss and end to hostilities on the Eastern Front. The German, Austrian and Ottoman diplomats all came from old monarchies that were very set in their ways. The Russian representatives, on the other hand, were all firebrand revolutionaries that wanted to start a worldwide proletariat revolution. They were still just barely in control of their country, and they didn’t have much to negotiate with. With a great disdain for the Bolsheviks and a distinct advantage at the negotiating table, the Germans were able to set highly unfavorable terms for the Russians. In exchange for peace, Russia would have to give up control of Finland, the Baltic States, Poland, Ukraine and parts of Georgia and Armenia. This stripped away a quarter of the population of the old Russian Empire, but the Germans and their allies were in the position to say “take it or leave it.” Disgusted by the treaty terms, the Bolsheviks left it. Things got worse in Russia. The Bolsheviks were fighting the White Army while still pouring resources into the Eastern Front. 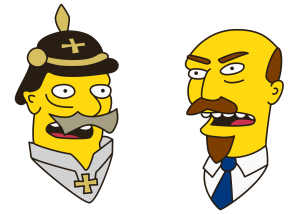 After a few more weeks of conflict, they gave in and signed the treaty of Brest-Litovsk. and the world is still reeling from its effects today. The treaty was a bad deal for everyone involved. It hurt the Bolsheviks by giving their enemies strongholds in the west. The pro-tsarist, anti-communist Whites were able to hang on to power in the parts of the Russian Empire taken by the treaty, drawing the Russian Civil War out for the next four years. Meanwhile a large part of the German army was stuck on the Russian front. They weren’t fighting, but they had to stay in the area to enforce the treaty. Had these soldiers been able to move to the Western Front, Germany might have won the war, and the world would be a very different place today. Even if Germany hadn’t won the war, things might have turned out very differently without the Treaty of Brest-Litovsk. After the Armistice, the victorious Allies gathered at the Palace of Versailles to dictate the terms of peace. They broke the Austrian and Ottoman Empires up into a bunch of little pieces, and saddled Germany with reparations for the entire cost of the war. Much of the trouble in the Balkans and the Middle East is a direct result of the Treaty of Versailles, and the reparations and territorial losses for Germany led to the rise of Hitler. In hindsight, we can see what a bad idea this was, but even at the time, it was pretty harsh. However, it was all justified by the Treaty of Brest-Litovsk. The Allies saw the harsh terms that Germany dictated to Russia, and decided to do the same thing to Germany. Eventually the Bolsheviks were able to regain most of the land lost at Brest-Litovsk, which they incorporated not into Russia, but into the supranational entity known as the Soviet Union. For 75 years the Soviet government controlled a good chunk of the world. But as the Communist Party weakened in the late 1980s, the citizens of the USSR grew restless. The people in the Ukraine and the Baltic States demanded independence. They had had a taste of freedom thanks to Brest-Litovsk, and they were ready to secede from the Soviet Union. By the end of 1991, V.I. Lenin’s great experiment was no more. Have you heard of the Treaty of Brest-Litovsk? How do you think history would be different if it had never been signed? Let me know in the comment section.